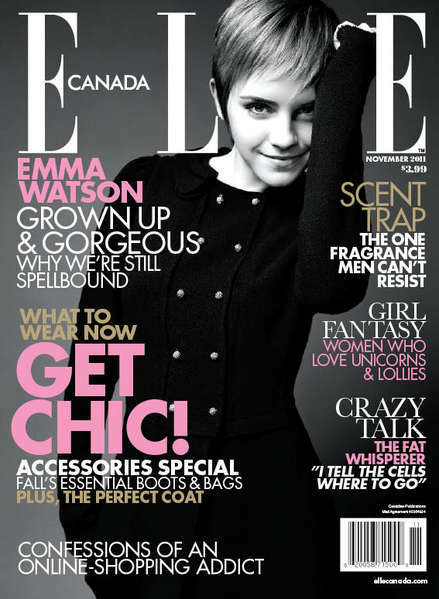 True Fashionista Now > Uncategorized > Emma Watson Is The Cover Model For Canadian ELLE. Check out Emma Watson on the October issue of Canadian ELLE. She continues to grow into an adult beauty and graces the covers of fashion magazines to prove it. I love this classic black and white cover of her, that top(Chanel?) and that hair too, everything says timeless. London Fashion Week: Antoni & Alison S/S13.